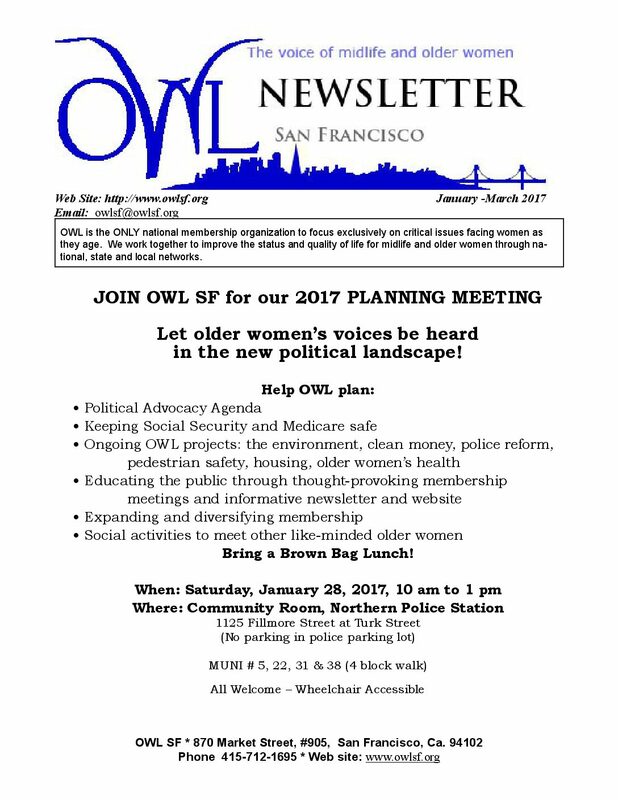 The quarterly OWL SF Newsletter publishes both opinion pieces and information about issues particularly of interest to mid-life and older women. 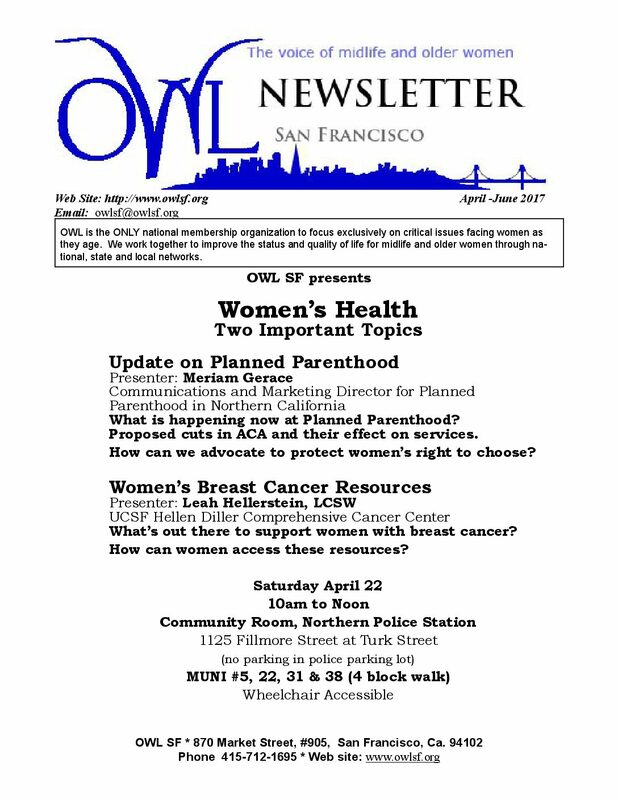 It also contains announcements and reviews of our monthly public program meetings; Action Alerts – information about taking action on important issues; creative writing; OWL SF news; and a calendar of local events of interest. 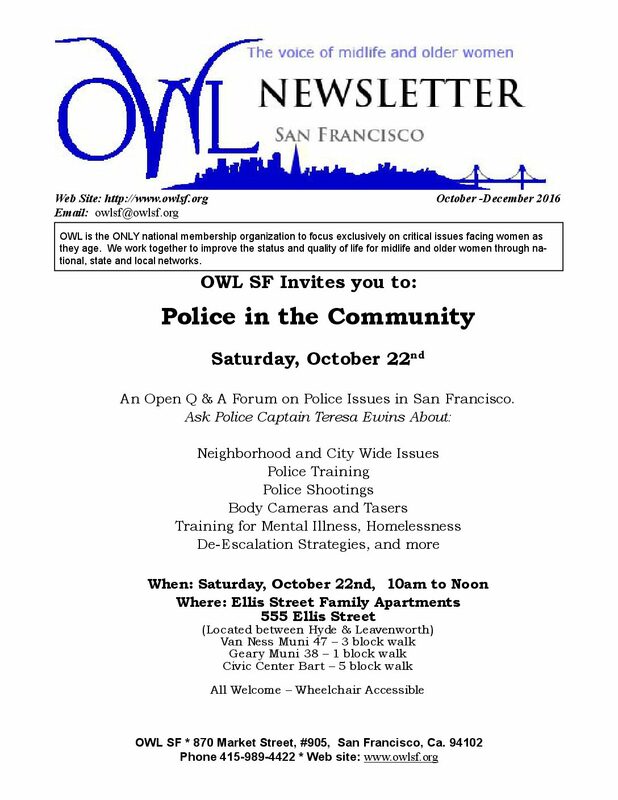 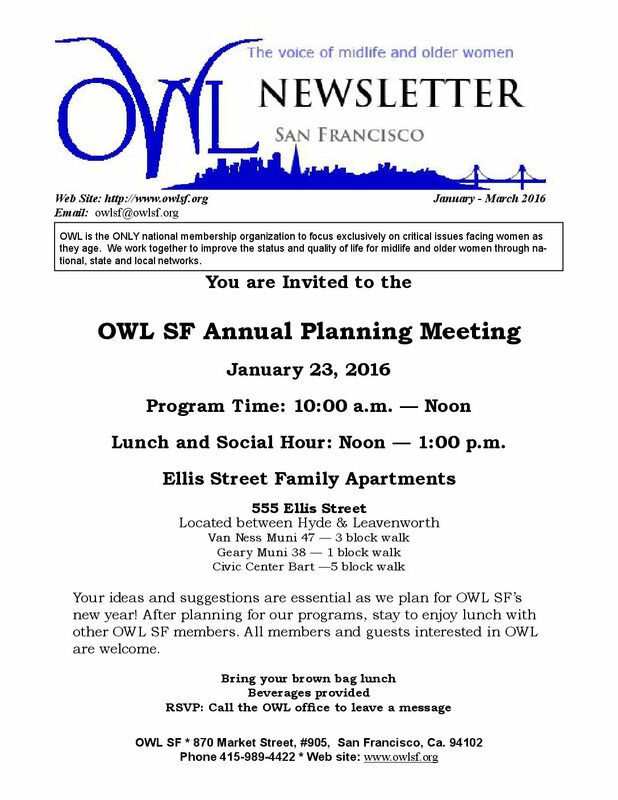 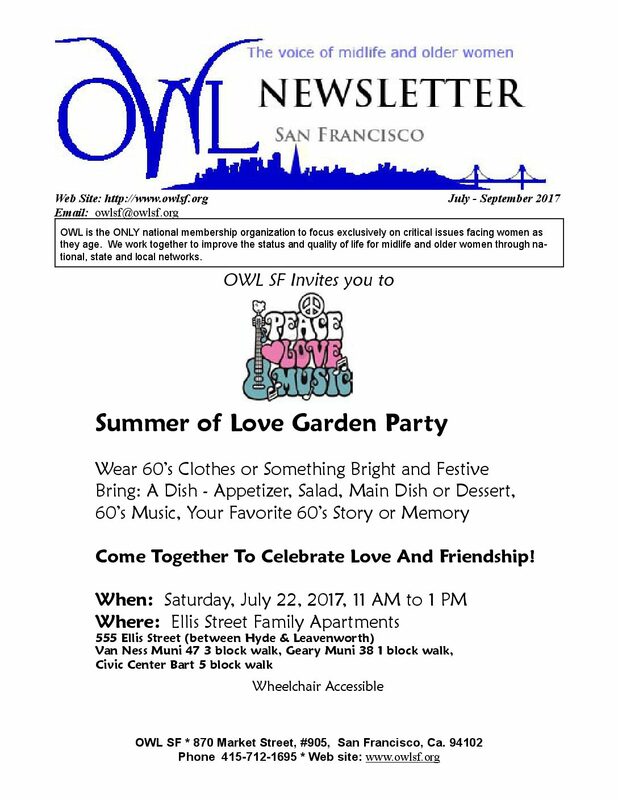 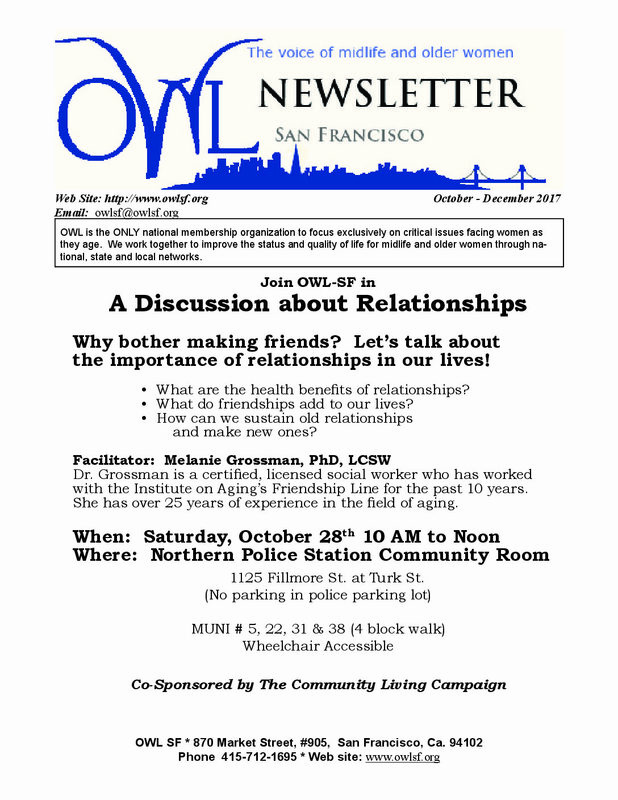 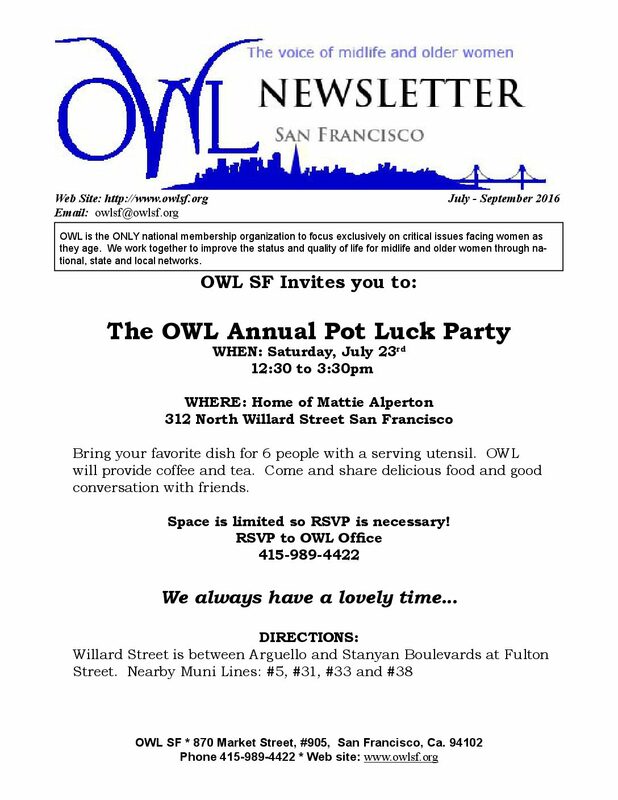 Please send comments or article suggestions/submissions to: newsletter@owlsf.org.